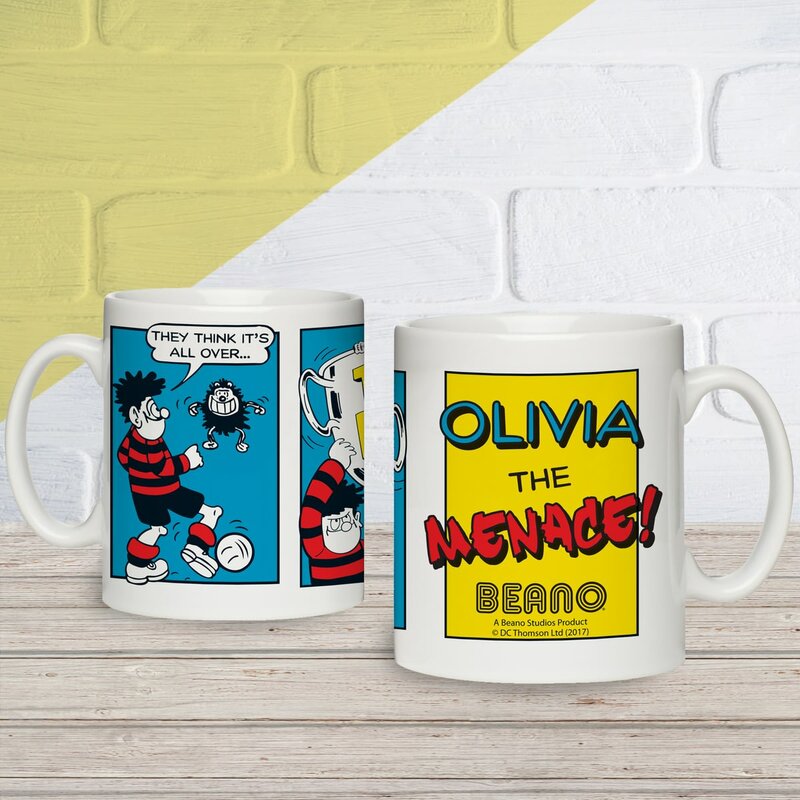 This football themed official Beano comic strip mug, can be personalised with any name of up to 15 characters, above the fixed text 'The Menace'. The 11oz ceramic mug is not microwave friendly and we recommend hand wash only. This football themed official Beano comic strip pencil case, can be personalised with any name of up to 15 characters, above the fixed text 'The Menace'. This prank themed official Beano comic strip tote bag, can be personalised with any name of up to 15 characters, above the fixed text 'The Menace'. Choose from red, blue, yellow or black and become a drama queen with Minnie. 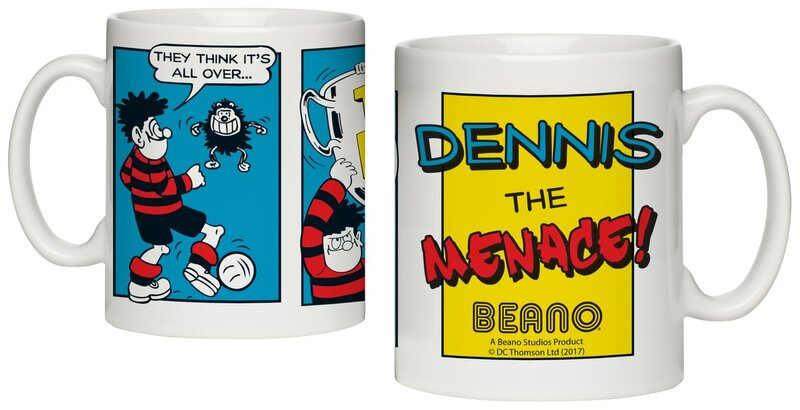 This official Beano 11oz ceramic mug is personalised with any name of up to 15 characters. Choose from red, blue or yellow and become a menace with Dennis. Choose from red, blue or yellow and become a menace with Gnasher. Choose from red, blue or yellow and become a menace with Minnie. This football themed official Beano comic strip cushion cover, can be personalised with any name of up to 15 characters, above the fixed text 'The Menace'.